1. Existence of a critical canting angle of magnetic moments to induce multiferroicity in the Haldane spin-chain system Tb2BaNiO5; Ram Kumar, Sudhindra Rayaprol, Sarita Rajput, Tulika Maitra, D. T. Adroja, Kartik K. Iyer, Sanjay K. Upadhyay, and E. V. Sampathkumaran,, Phys. Rev. B 99, 100406 (Rapid. comm.) (2019). 2. First-principles study of electronic structure, transport, and optical properties of EuCd2As2, Jyoti Krishna, T. Nautiyal, and T. Maitra, Phys. Rev. B 98, 125110 (2018). 3. Electronic structure of Pr2MnNiO6 from x-ray photoemission, absorption and density functional theory; P Balasubramanian et al.,Journal of Physics: Condensed Matter 30, 435603 (2018). 4. Rare earth doping and effective band-convergence in SnTe for improved thermoelectric performance; S Acharya, D Dey, T Maitra, A Soni, A Taraphder; Applied Physics Letters 113, 193904 (2018). 5. Quantum criticality associated with dimensional crossover in the iso-electronic series Ca 2-xSrxRuO4, S Acharya, D Dey, T Maitra, A Taraphder, Journal of Physics Communications 2, 075004 (2018). 7. Dibyendu Dey, S. Nandy, T. Maitra, C. S. Yadav and A. Taraphder, Nature of spiral state and absence of electric polarisation in Sr-doped YBaCuFeO5 revealed by first-principle study; Scientific Reports 8, 2404 (2018). 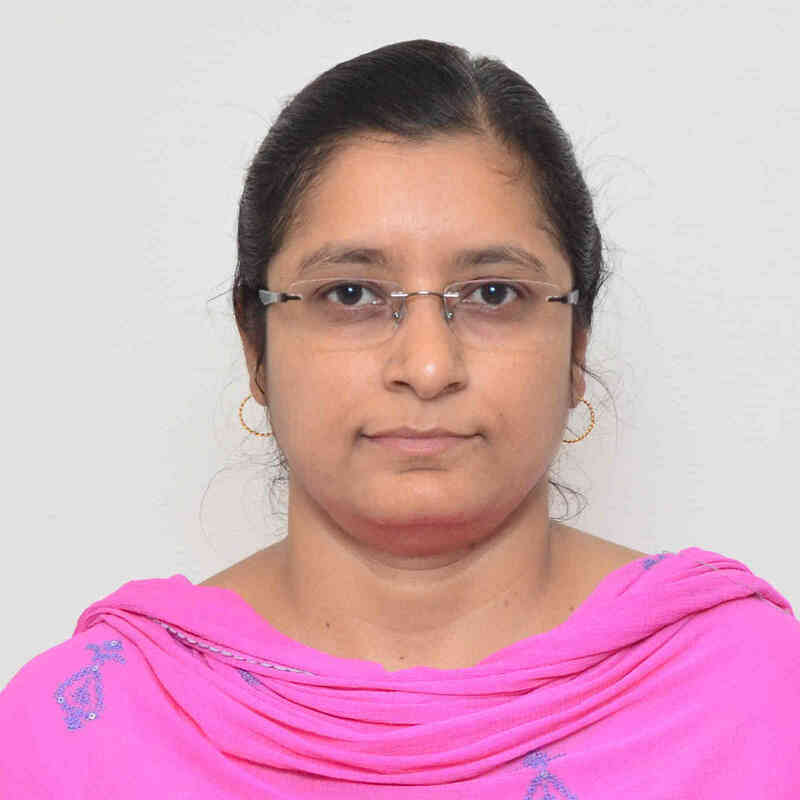 8.Ankita Singh, A. Jain, Avijeet Ray, Padmanabhan B., RuchikaYadav, Vivian Nassif, Sajid Husain, S. M. Yusuf, T. Maitra, and V. K. Malik; Spin reorientation in NdFe0.5Mn0.5O3: Neutron scattering and ab initio study; Physical Review B, 144420, 96, (2017). 9. First-Principles Correlated Approach to the Normal State of Strontium Ruthenate, Swagata Acharya, M. S. Laad, Dibyendu Dey, T. Maitra, A. Taraphder; Scientific Reports 7, 43033 (2017). 10.Orbital Ordering in Fe1−xMnxV2O4: A First Principles Study, Dibyendu Dey, T. Maitra, A. Taraphder; Phys. Rev. B 93, 195133 (2016). 11. The role of intra- and inter-site exchange correlations in the extended Falicov–Kimball model on a triangular lattice, Sant Kumar, Umesh K. Yadav, T. Maitra, Ishwar Singh; Solid State Communications 228, 1 (2016). 12. Nature of transport gap and magnetic order in zircon and scheelite type DyCrO4 from first principles, Avijeet Ray and T. Maitra; J. Phys. : Condens. Matter 27, 105501 (2015). 13. Competing electronic states in the high temperature phase of NaTiO2, M. Dhariwal, L. Pisani and T. Maitra; J. Phys. : Condens. Matter 26, 205501 (2014). 15. The nature of itineracy in CoV2O4: a first principles study, Ramandeep Kaur, T. Maitra and T. Nautiyal; J. Phys. cond. mat. 26, 045505 (2014). 16. Phase transitions in a spinless, extended Falicov-Kimball model on a triangular lattice, Umesh K. Yadav, T. Maitra, Ishwar Singh, Solid State Communications, 164, 32, (2013). 17. Effect of spin-orbit coupling on magnetic and orbital order in MgV2O4, Ramandeep Kaur, T. Maitra and T. Nautiyal; J. Phys. Cond. Mat. 25, 065503 (2013). 18. Orbital order in NaTiO2 : A first principles study, Monika Dhariwal, T. Maitra, Ishwar Singh, S. Koley, A. Taraphder; Solid State Communications, 152, 1912 (2012). 19. Metallicity and ferromagnetism in nanosystem of charge ordered Nd0.5Sr0.5MnO3, S. Kundu, T. K. Nath, A. K. Nigam, T. Maitra, and A. Taraphder; J. of Nanoscience and Nanotechnology 12, 943 (2012). 20. Thermodynamic studies of the two dimensional Falicov-Kimball model on a triangular lattice, U. K. Yadav, T. Maitra and I. Singh; Eur. Phys. J. B. 84, 365 (2011). 21. An extended Falicov-Kimball model on a triangular lattice,U. K. Yadav, T. Maitra, I. Singh and A. Taraphder; Europhysics Letters 93, 47013 (2011). 22. Comparative study of FeCr2S4 and FeSc2S4: Spinels with orbitally active A site, S. Sarkar, T. Maitra, R. Valenti, T. Saha-Dasgupta; Physical Review B 82, 041105(R) (2010). 23. Ground state phase diagram of a spinless, extended Falicov-Kimball model on the triangular lattice, Umesh K Yadav, T. Maitra, I.S. Tyagi, A. Taraphder, J. Phys. : Condens. Matter 22, 295602 (2010). 24. Proposed Orbital Ordering in MnV2O4 from First principles, S. Sarkar, T. Maitra, R. Valenti and T. Saha-Dasgupta, Phys. Rev. Lett. 102, 216405 (2009). 25. Orbital order in ZnV2O4, T. Maitra and R. Valenti, Phys. Rev. Lett. 99, 126401 (2007). 26. Effects of Fe substitution on the electronic, transport, and magnetic properties of ZnGa2O4: A systematic ab initio study, L.Pisani, T. Maitra and R. Valenti, Phys. Rev. B. 73, 205204 (2006). 27. Magnetic properties of doped GdI2, T. Maitra, A. Taraphder, A. N. Yaresko and P. Fulde; Eur. Phys. J. B 49, 433 (2006). 28. Charge order and phase segregation in overdoped bilayer manganites, T. Maitra, A. Taraphder and H. Beck; J. Phys. : Condens. Matter 17 4333 (2005). 29. Ferromagnetism in Fe-substituted spinel semiconductor ZnGa2O4, T. Maitra and R. Valenti, J. Phys. : Condens. Matter 17 7417-7431 (2005). 30. Volume contraction at the Jahn-Teller transition of LaMnO3, T. Maitra, P. Thalmeier, T. Chatterji, Physical Review B, 69 132417 (2004). 31. Magnetic and orbital order in overdoped bilayer manganites, Tulika Maitra and A. Taraphder, Europhysics Lett., 65, 262 (2004). 32. Magnetic, orbital and charge ordering in electron-doped manganites, T. Maitra and A. Taraphder; Phys. Rev. B, 68, 174416 (2003). 33. Double exchange and orbital correlations in electron-doped manganites, T. Maitra and A. Taraphder; Europhysics Lett., 59, 896 (2002). 34. Antiferromagnetism and Superconductivity in a model with extended pairing interactions, T. Maitra, H. Beck and A. Taraphder; Eur. Phys. J. B, 21, 527-533 (2001). 35. Thermodynamic Properties of dx2−y2+idxy Superconductors, Tulika Maitra, Physica C, 331, 302-306 (2000). 36. Gap anisotropy in the angle-resolved photoemission spectroscopy of Bi2Sr2CaCu2O8+\delta, T. Maitra, A. Taraphder, Physica C, 325, 61-69 (1999).